Cheap Halloween Costume! 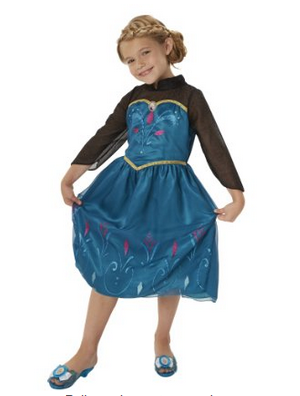 Disney Frozen Elsa Coronation Dress only $6.20 Shipped! October is finally here and I am all about finding cheap Halloween Costumes for the little ones!! This Disney Frozen Elsa Coronation Dress is available as an add on with any qualifying $25 order and ships free for prime members!! Look enchanting in Elsa’s iconic Coronation dress from Frozen!